Flask engraving. 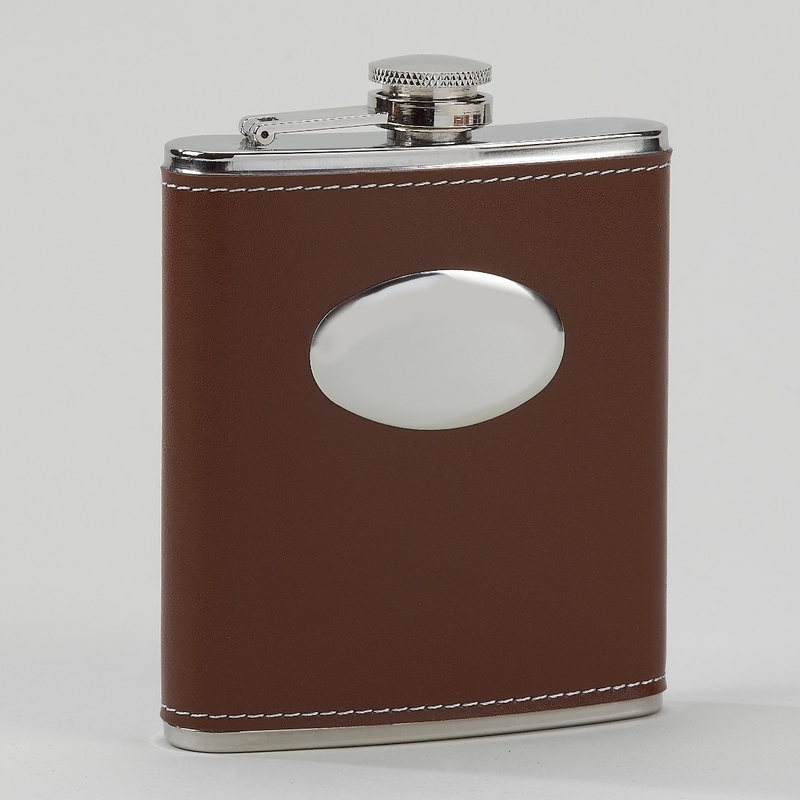 This stainless steel 7 ounce flask features is wrapped with a brown leatherette material. An oval metal plate is attached to the front that can be engraved (Engraving available at extra cost). Silver Gift Box.